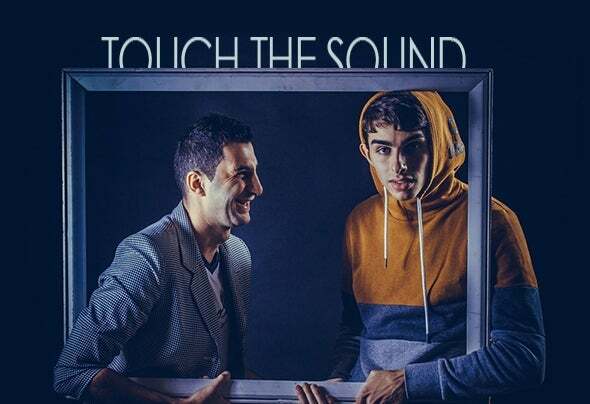 Touch The Sound (Kos The Greek and Dmitry Deep) is a new DJ/Producer Duo mainly focused on Progressive- House, Tech-House, Electro-Progressive and other House styles. For less than 1 year they managed to win 4 serious remix contests, regularly feature in a multitude of EDM radio show playlists and be released on such renowned labels as System Records, Supermarket Records, Leap4rog Music and others.For the distinctive and fresh-blooded production Touch The Sound is in TOP 20 in the CIS Progressive House list, no wonder they produce lots of remixes for some of the biggest names in Eastern Europe. The lives of Touch The Sound are quite impressive and explosive because of the battle the guys actually perform having agreed only about the first track in the set.